Thank you for coming to see Geography Cat. He has a lot of love for the world and he wants to share it with you. 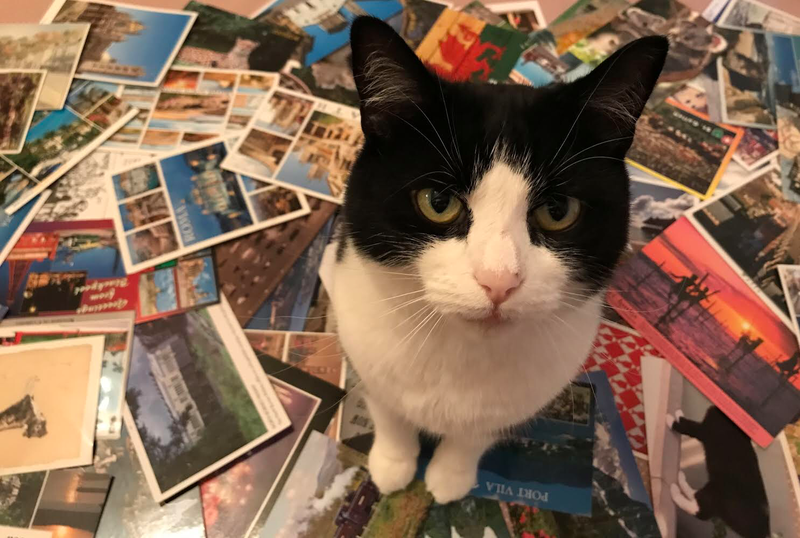 Geography Cat’s friends send him a postcard and he writes a blog post about that place, linking it to interesting geographical principles. He also plots the postcards on his Paw Print Map. For details on how to send a postcard see the frequently asked questions page. And to read his rationale go to About. Select the paw print to see the postcard and sender. Red paw prints signify Christmas cards. Check out the blogs by clicking on the links above, or the sidebar menu. Here’s a link to my Christmas Appeal to raise money for WWF to continue their fight against climate change.